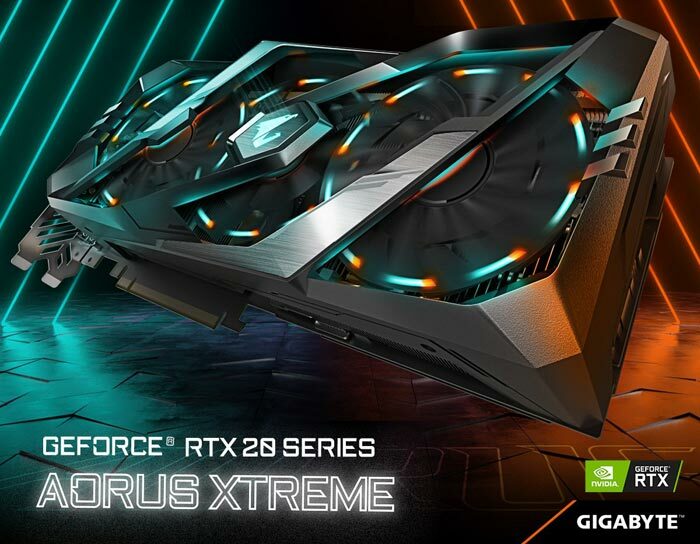 Gigabyte has started to tease its Aorus RTX 20 Xtreme series via various social media channels. There are images and video showing off this new product range available on Twitter, YouTube, and probably other channels too. Last but not least, there is also an official produce page for the Aorus GeForce RTX 2080 XTREME 8G available, but some key specs like GPU/Memory clocks have been omitted for now. The most informative of the above media blasts might be the official Aorus YouTube video, embedded directly below. This focuses upon the Aorus GeForce RTX 2080 Xtreme 8G but the video detail confirms there will be Xtreme SKUs based upon RTX 2080 Ti and RTX 2070 GPUs too. In the video the presenter highlights a number of Aorus RTX 20 Xtreme series including; the full coverage triple fan cooling system, the 'reinvented RGB lighting with colourful fan edges, and the seven video output ports supporting up to quad-display simultaneously. Gigabyte / Aorus admits you will be paying out a lot of hard earned cash for these products so it has decided to pump up the extended warranties which it already offered. The whole Aorus lineup of RTX 2080 Ti, 2080, and 2070 cards plus the Gigabyte Gaming OC range will come with four year warranties, to make you feel a bit more secure in your investment. 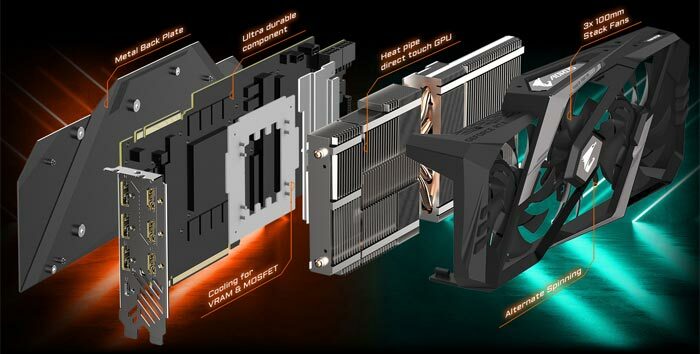 The other Aorus RTX 20 Xtreme series will be similar in build but vary in GPU/Memory config, of course. Aorus hasn't provided any pricing guidelines but the first Aorus RTX 20 Xtreme series cards will be "coming soon". Well, there is Gigabyte and there si AORUS, There is ASUS and there is ROG lol, for each gaming brand from each company must be at least 5-8 models so yes there is a 20 model variation so far. slap some lights on ..charge an extra £200 ..
the cards don't oc well ..why buy them ? Think it depends going forward how the new features of the card are supported by developers. It really does depend on personal usage scenarios as to whether the increased price is worth the performance these come with.